We offer docent-guided tours of the museum which will walk you through the story of HIV throughout the world via pictures, film and written material. 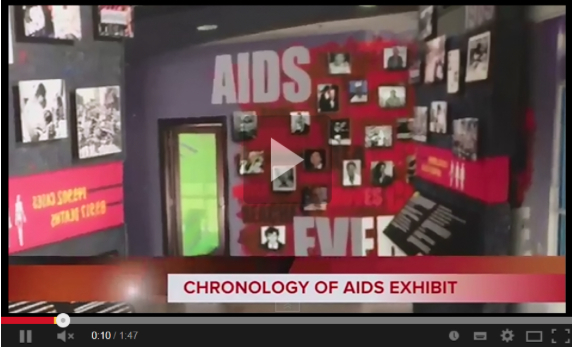 In addition, the AIDS Tapestry will present filmed stories from all parts of the world of those affected by HIV. Tours can accommodate groups of up to fifteen people and we suggest that you allow at least one hour to see the exhibit. We promise that you will walk away informed and even inspired! Call Ed at 954-304-4135 to schedule a visit. Russia is home to the world's fastest-growing HIV epidemic. 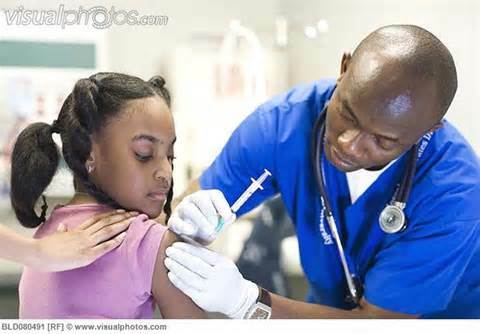 Driven by injection drug use, it is now becoming generalized. If you use injection drugs in Russia, you likely have HIV, hepatitis C, and more often than not, tuberculosis. Although the Russian constitution grants the right to free access to health services in government facilities, it does not provide effective care to those who have these multiple infections. And it bans opioid substitution therapy—the most effective opiate addiction treatment. In many ways, the story of Max, is typical of the hundreds of thousands of Russians who use drugs. As an intravenous drug user, he contracted HIV and hepatitis C. But when Max was denied testing and treatment for his hepatitis C, he did something no Russian who uses drugs had done before—Max turned to the justice system. Faced with the daunting task of taking on his region's health system in court, Max used the Internet for help. He contacted the Canadian HIV/AIDS Legal Network. Through online sessions with a lawyer who was more than 3,000 miles away, Max crafted his legal arguments and strategy. Representing himself, Max sued the regional hospital in Tver that denied him testing, and won his case on appeal. The court ordered testing and treatment for him. Max's victory inspired him to help others confront the injustices they experience in health services. He co-founded a project at the Andrey Rylkov Foundation in which street outreach workers provide legal consultations for people who use drugs alongside offerings of clean needles and food. 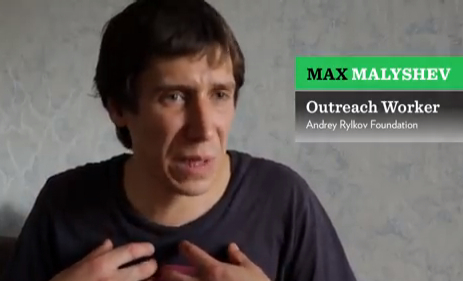 In his outreach work, Max relies on the Russian language website Hand-Help.ru—a unique online resource that offers advice about ever-changing Russian drug laws to drug users, their friends, and their families. The site wants to correct a widespread lack of understanding of drug laws common not only among people who use drugs and the general population, but also law enforcement officials, prosecutors, and judges. In a vast country like Russia, where accessing a lawyer is not always practical or possible, Hand-help is only a click away, offering accurate and up-to-date advice and information. Armed with an innovative resource like Hand-help, and a conviction that Russians who use drugs should be treated as people worthy of respect, Max wants others to recognize their power. "The most important thing," Max says, "is strength in your own life—to fight for help, to stand up for something." 2. 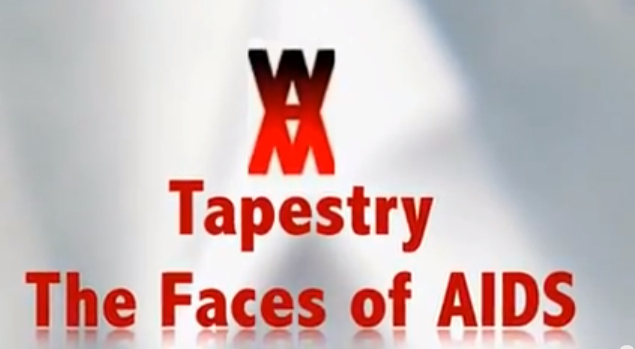 The Virtual Tapestry, which captures stories of those infected and affected by the disease on video and portrays the human experience with HIV in all its diversity. Finally, we will be sending each of you this newsletter on a monthly basis as we move forward. Thanks again for your wonderful support! Exciting new research suggests that a single shot administered every one to three months may someday give an alternative to the daily pills people take now to cut their risk of getting HIV. The drug has been tested for prevention in monkeys, and it completely protected them from infection in two studies. "This is the most exciting innovation in the field of HIV prevention," said Dr. Robert Grant, an AIDS expert at the University of California, San Francisco. Grant said the long-acting drug is "extremely safe, well tolerated." Another trial is testing the shots in patients as a treatment, not just for prevention. Public health officials stress that, until a vaccine is developed, condoms are the best way to prevent infection with the AIDS virus. March 19 - Dr. Patrick Kenny of Midland Medical, provided details about the remarkable new advancements in treating Hepatitis C (HCV). Many people with HIV are co-infected with Hepatitis C. New medications treat and/or cure up to 90% of patients. March 12 - Peter Jackson, fitness and nutrition coach and owner of Push Fitness, presented details of a program called "PoZitively Healthy - 10 Fitness & Nutrition Tips to Achieve Your Best Health" while living with HIV. February 12 - Sean Strub, founder of POZ magazine and producer of the play The Night Larry Kramer Kissed Me, gave a presentation along with a book signing of his new memoir entitled "BODY COUNTS." This event was sponsored by the Stonewall Museum with the support of the World AIDS Museum and our Pozitive Attitudes group. Grace Kelly was an actress whose cool, aloof exterior belied an alluring sexuality. 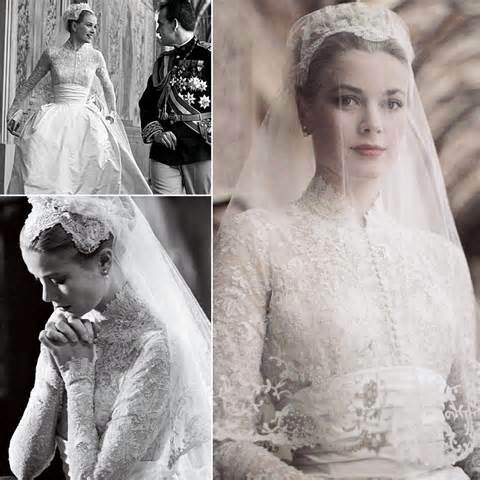 Her Hollywood career was brief--just five years--but her impact was considerable, due to both the quality of her work and the manner in which she left the film industry, exchanging the make-believe royalty of Hollywood for a real-life prince--Rainier III of Monaco. Born in 1928, Kelly came from an accomplished family. Her father, Jack Kelly, was a rich businessman and a one-time world champion oarsman. Her mother had been a model and a cover girl. Her uncle, George Kelly, a playwright, won a Pulitzer Prize for penning Craig's Wife. 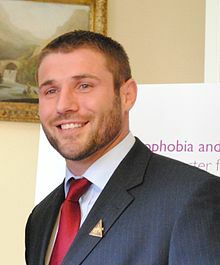 Cohen (35) explains: "In November 2000, Cohen's father Peter Cohen, brother of English World Cup winning football player George Cohen, was fatally injured while protecting an attack victim at the Eternity nightclub in Northampton which Peter Cohen managed. He died a month later from head injuries sustained in the assault. Three men were found guilty of violent conduct. South Africa president Nelson Mandela was a controversial figure for much of his life while at the same time a great humanitarian. Right-wing critics denounced him as a terrorist and communist sympathizer. 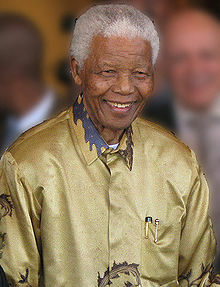 He nevertheless gained international acclaim for his anti-colonial and anti-apartheid stance, having received more than 250 honours, including the 1993 Nobel Peace Prize, the US Presidential Medal of Freedom, and the Soviet Order of Lenin.He is held in deep respect within South Africa, where he is often referred to by his Xhosa clan name, Madiba, or as Tata ("Father"); he is often described as "the father of the nation."